A ghastly film cover. Why do they do that? She readjusted the poise of her black, closely feathered hat; retouched, beneath it, the thick fall of her dusky hair; kept her eyes aslant no less on her beautiful averted than on her beautiful presented oval. which you have to read three times to confirm that they are in fact utter gibberish. E commented that she only finished this book as a matter of principle and kept it on the bookcase purely as some sort of commemorative medal for surviving an unpleasant experience. I’m not sure that it even warrants bookshelf space. I’m more inclined to test its wings by chucking it out of the window. I wouldn’t even give it to a charity shop for fear that some other innocent reader would pick it up and have to endure it. The basis of the story is that beautiful Kate Croy’s mother dies and she moves in with her very rich Aunt Maud who promises to look after her as long as she drops her relations with her father. Kate falls in love with a penniless journalist called Merton Densher, but Aunt Maud doesn’t approve so they get engaged secretly before he goes to the USA. While in the USA he meets the young and extremely wealthy Milly Theale and visits her several times. Milly takes it into her head to go on a tour of Europe, even though she is secretly terminally ill, taking with her the matronly Susan Stringham as a chaperone. When they end up heading to London, Susan suggests they stay with an old school friend of hers who just happens to be Aunt Maud. So the two young women meet and become great friends. It tells you all this, more or less, on the back of the book, yet the first 300 pages of this book are spent repeating it in excruciating detail. Halfway through my reading this book, E, still excited from our trip to the Natural History Museum, put on Jurassic Park. I wasn’t really watching it, but I know that the only thing that could have caused the dinosaurs to roar with such anger and pain was that someone in the park must’ve been reading them excerpts from this monstrosity of a novel. The book is littered with long, painful dinner parties. Filled with tense conversations where people agonise over tedious social niceties. Crammed with conversations where people revel in tedious ambiguity. It gets so extreme that when the highly predictable sort of love triangle/hoax emerges you just don’t care. In fact, the only good thing about this book was that I learnt the word “consanguinity”, which means that you are a blood relation to somebody. But that word occurs on page 41 and after that it lacked any sort of merit. Not even a gin helped. But I did, afterwards find this fantastic review of it ongoodreads, which really sums it up for me. 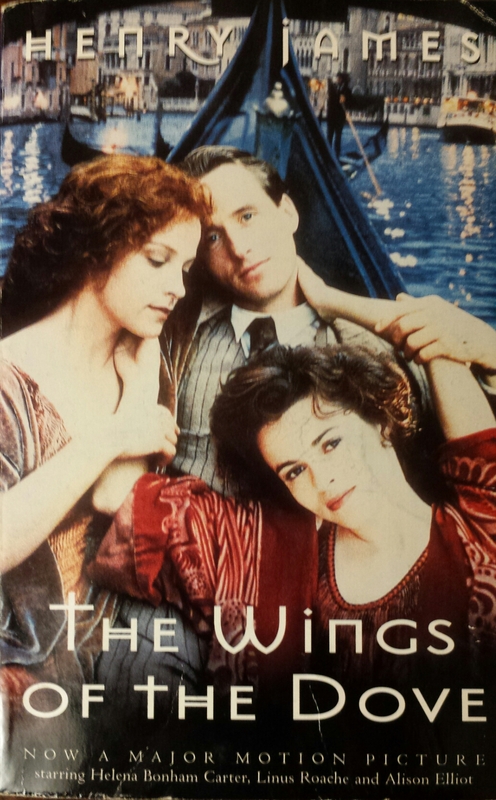 Tags: book review, books, Henry James, reading, The Wings of the Dove. Bookmark the permalink. Didn’t you like it, then? You don’t need to sit on the fence with your reviews!